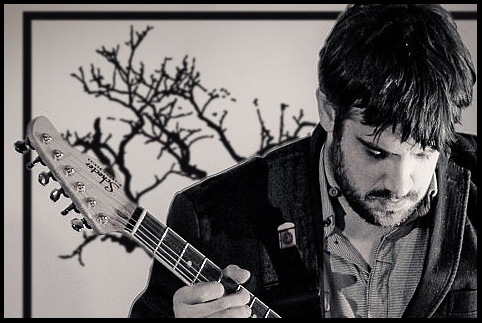 “It seems impossible to me that I’m on this planet for any other reason than writing music,” states Benn Jordan, also known musically as The Flashbulb, among other pseudonyms. Over the past ten years, Jordan has released ten LPs as The Flashbulb (in addition to his other work), attracting worldwide attention for his albums and his attitude toward the distribution of music in today’s digital age. In addition to his solo material, Jordan heads Vapor Music’s Chicago office, and composes on many film, television and advertising projects. His work is perhaps best known on Dove’s ‘Evolution’ campaign, which featured a remix of The Flashbulb’s track “Passage D” and went on to win awards at Cannes, a Clio Award, two prizes at the London International Awards, and two prizes at the Epica Awards, among others. He was also the musical mind behind award winning spots“Memorials” (ORNGE) and “Floater” (Vancouver International Film Festival). Now, Benn is preparing to release his his eleventh Flashbulb album on June 8th, titled ‘Arboreal’, which you can pre-order here. The album is accompanied by a beautiful video for the song “Undiscovered Colors,” which was released on YouTube this past week (check it out here!). We at Vapor are extremely proud of all Benn’s many successes! ~ by vapormusic on May 27, 2010.